The Papers of Abraham Lincoln: Legal Documents and Cases, 4 vols. (University of Virginia Press, 2008) The first chapter, "In re Bryant et al," in Volume 2 by Christopher Schnell is the best description of the trial to date. The multi-volume set is expensive, so check for it on interlibrary loan. An Honest Calling: The Law Practice of Abraham Lincoln by Mark E. Steiner Northern Illinois University Press (August 31, 2006) Another excellent resource about Lincoln and this trial from the viewpoint of how it connects in Lincoln's career. This book is also available on interlibrary loan. Lincoln Apostate: The Matson Slave Trial by Charles R. McKirdy University Press of Mississippi, 2011. In 171 pages that are well cited, McKirdy describes the trial and surrounding events from a lawyers point of view. He focuses on Lincoln and the other attorneys and concludes that Lincoln participated in the trial because of his relationship with Usher Linder. It is an excellent contribution to the resources about this trial and does a good job of explaining the legal issues involved for a layman. This site is part of Localités/Localities and/or Coles County Legal History Project. from Eastern Illinois University, Charleston, Illinois. 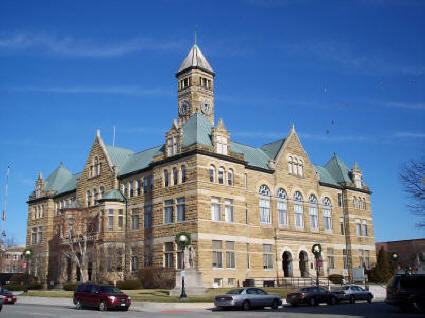 Chapter VI; History of Coles County, Illinois by Charles Edward Wilson, 1905 This brief account titled "Early Abolitionists- Defeat of a Projected Kidnapping Case" relies heavily on Orlando b. Ficklin's account of the trial. Ficklin represented Ashmore and the Bryants. Michael Burlingame's long-awaited Abraham Lincoln: A Life, published in 2008 by the Johns Hopkins University Press in two large volumes and nearly 2,000 pages, is believed by many Lincoln scholars to be the most exhaustively researched and fully documented biography of Abraham Lincoln ever written. He talks about the Matson Trial in Chapter 7. There are some details that he got wrong in the story, but his overall analysis of Lincoln's participation is interesting. Rutherford, Hiram. Letter of Dr. Hiram Rutherford to John Bowman, October 25, 1847. Oakland . Hendrick, Willene and George Hendrick, eds. 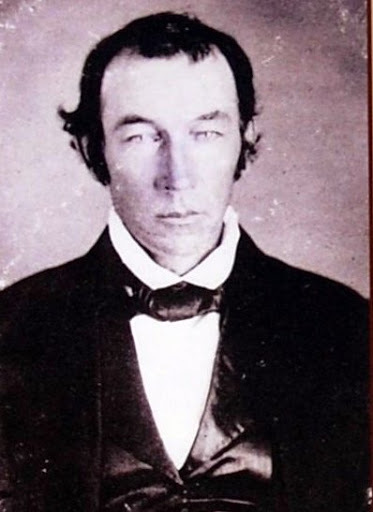 On the Illinois Frontier: Dr. Hiram Rutherford, 1840-1848. Carbondale, IL: Southern Illinois University Press, 1981, 1847. [format: book], [genre: letter]. Permission: Northern Illinois University. This is the only primary document about this trial outside of the legal records. D. T. McIntyre Article on Matson Slave Trial McIntyre was a Charleston lawyer who appears to have known Dr. Hiram Rutherford very well. This account was published in The Oakland Weekly Ledger on July 17,1906 (I think, it is fairly illegible) and again in the Tuscola Review on Sept. 7, 1922. It seems to represent Dr. Rutherford's telling of the story and is the most colorful account of the trial. McIntyre would have been a boy in 1847 and did not yet live in Coles County. Abraham L incoln and Slavery: Transcribed Documents, p.2-3 This is a pdf of transcriptions of documents written by or about Lincoln that reflect his views on slavery, included is an article by Lincoln biographer, Jesse Weik, that recorded Rutherford's recollections that appreared in "Lincoln and the Matson Negroes: A Vista into the Fugitive Slave Days," The Arena (April 1897). The pdf was made by Stephen Berry, professor of History 101 at University of North Carolina in Chapel Hill. It also has Lincoln's opinion of the Dred Scott decision which covered the same issue as the Matson trial - was living in a free state equal to freedom? Lincoln's legal cases, including the Matson Slave Trial. It relies on John J. Duff's writings in A. Lincoln: Prairie Lawyer. 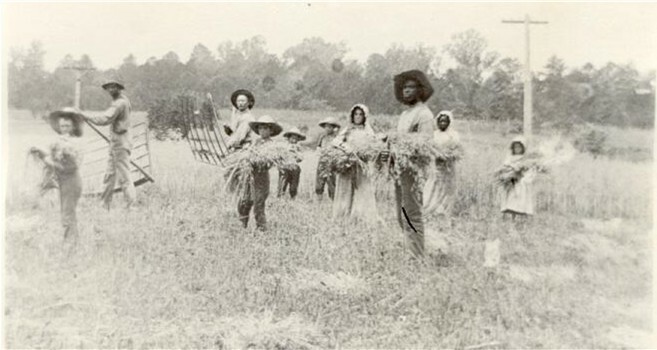 Photographic Images and the History of African Americans in Coles County Illinois This site is an off-shoot of an exhibit at the Tarble Arts Museum at Eastern Illinois University in Charleston, Illinois. See page 6 of the site for the Matson trial description.